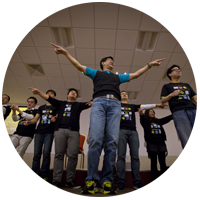 LiFEgame is a creative simulation game of life that seeks to provide an environment for participants to discover God’s purposes for their lives in this world. LiFEgame is about living life, that’s where the reality of the real world sets in. Eventually we all question, “What’s the purpose of life?” Take a leap of faith! Don’t miss the opportunity to discover God’s purpose for living. 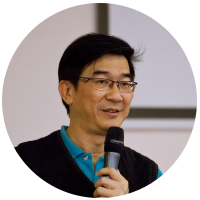 Founded in Malaysia, 1984, John Kwan is passionate about impacting lives creatively for Jesus Christ. To this day, his mission remains the same. His creative leadership skills are changing the way church and organisation is done worldwide. LifeIMPACT events have been conducted successfully worldwide. We believe everyone has something to offer to impact lives for Christ. God loves to use people like you who are passionate about impacting lives. Join us in action and find out how you can impact the world! Intense, very relevant, engaging and fun, but also very impactful. It also really emphasised the frailty of life. Changing and focusing on the purpose of life – winning the race. I am not a Christian. But I am agnostic. I’m still uncertain about God, but I believe in a higher power. LiFEgame has made me think alot about how I should live my life. This will help me in life. LiFEgame helped awaken my lost purpose in life. My focus is no longer on success, but on living an impactful, purposeful life grounded in the mission Jesus Christ as set before me. I hope the journey I tread upon in life can be pleasing in God’s eyes. Join 35,000+ people who have been impacted by LiFEgame. Volunteer for the next LiFEgame.